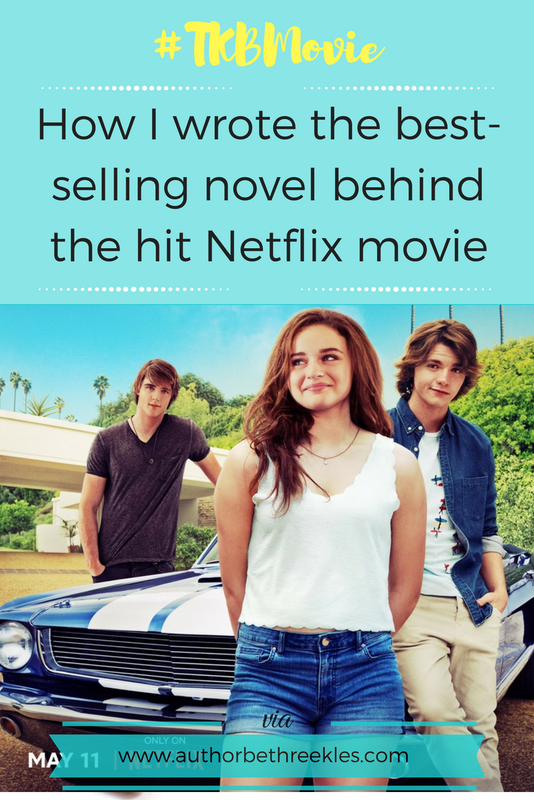 Forgive the clickbait-y title, but this is a questions I've been getting a LOT in the last few weeks since The Kissing Booth came to Netflix -so I figured, why not make a Writing Wednesdays post of it? If you're more interested in how The Kissing Booth became a movie, you might want to check out this post - or this post about the script. For those of you who don't know, The Kissing Booth was a story I wrote when I was 15/16 years old, in 2011. It took me about three months to write, and I posted it on story-sharing platform Wattpad. It went viral, winning an award on the site for most popular teen fiction and gaining over 19 million hits before it was published in 2012/2013, and then... adapted for Netflix! With the whistle-stop tour out of the way, let's get to it. Back in 2011 when I wrote The Kissing Booth, Twilight was popular. That meant that almost every YA romance novel on the shelves was a paranormal romance, with vampires or werewolves or fallen angels - and while I loved those and devoured every one I could get my hands on, I was bored of reading them one day. I just wanted to read a regular high-school romance. No fantasy. No vampires or anything. I'd exhausted Amazon searches and was trying to find something on Wattpad, but it seemed impossible to find the kind of book I wanted to read. So I just... wrote it. The decision was that simple, honestly. It wasn't the first novel I'd written (because believe me, I wrote a LOT of novel-length stories before I wrote The Kissing Booth) so it's not like the idea of writing a new story was daunting to me. I knew what kind of characters I wanted to read about. I came up with Elle and Lee and Noah and opened a new document, starting to think about what would happen. I knew Elle and Lee would be best friends and Elle and Noah were endgame, and it wasn't long before inspiration struck and I thought there would be a kissing booth - which is where all the drama would really kick off. It wasn't like I started writing the story and it just worked straight away. I started writing, and voila, it was all done. I knew the characters and it took a few tries to get a first scene I could work with, but after a few goes I had something I could keep going with - and before I knew it, I had a few chapters. I could keep writing. Writing was something I was doing to relax, or escape, or whatever you want to call it. But in all honesty, when I get like this with a story - I'm just obsessed. It's pretty much all I can think about. Inspiration will strike at any moment (cringe-worthy as that sounds, but you probably already know I'm a sucker for cheesiness) and it'll always be in the back of my mind, ideas churning away or going back over a scene I just wrote. Every spare minute I had, I was working on it. Everyone would go to bed and then I'd open my laptop back up and I'd write for a couple more hours. I got writers' block a few times while writing. There were a couple of times I hit blocks where I just couldn't get past that wall and couldn't work on the story. It didn't get in my way in the grand scheme of things, and looking back it was probably only for a few days at a time - maybe two weeks, max - but at the time, it felt like eons, because all I wanted to do was work on the story. I got something like eight chapters in before I began posting the book on Wattpad. I wanted to know I had something to work with - rather than two or three chapters that I'd then abandon. I started by posting the first three chapters. I felt this was just better for my readers, because it gave them enough to get stuck into and see if they wanted to come back in a few days for the next chapter. It seemed to work. One thing I made sure to do was update regularly. This was anything between once every three or four days, or a week. I'd let people know at the end of each chapter when to expect the next one, and sent out a message with each new update to my followers on Wattpad. I'd also let them know if an update was going to be late due to a holiday/exams/whatever. Honestly, it doesn't sound like much, but I think it made a big difference. It kept my readers engaged, kept them always wanting more instead of forgetting about the story they'd enjoyed but not heard from in two months - and honestly, I think it motivated me to keep working hard on the story. I started a Tumblr blog and a Twitter account for my writing. I used them to promote the book - talk about when I was writing, respond to anyone who said they liked the story. I talked about books, posted whenever I uploaded a new chapter, and as the story got more popular I began receiving questions asking for writing advice or asking about the story. I tried to be as active as possible on these channels, as well as on Wattpad, to promote the story. And again, it might not seem like much, but it seemed to work! I uploaded the first draft on Wattpad. I didn't edit any of it, except for proof-reading quickly each upload to check for typos and make sure it was formatted consistently. So despite me finishing the story, I was far from finished with the book. I took a break from it for a while... by working on the companion novella The Beach House, and after a while, I went back and did some rewrites. I got bogged down editing before realising I was better off deleting whole scenes, and tried to tidy it up. This was one of the hardest parts of the whole process. And when it came to it being published - which, again, you can read more about here - there was a little more editing and tidying up went into it. I know I said I uploaded new chapters regularly, but I always made sure to write ahead. I wasn't writing because my readers wanted more - that was just an extra motivation. I kept writing because it was what I wanted to do and because I loved the story and had so much fun working on it. But I was always several chapters ahead. This helped whenever I had writers' block, but it also meant the story wasn't shaped too much by the readers. I might have added more of a particular character or conflict if the readers really liked it, but because I was always writing ahead of time, I wasn't changing anything in the storyline because it was what my readers wanted or suggested. I kept writing the story I wanted to read: not the story I thought other people wanted to read. And... honestly, I think that's all I have to say on how I wrote the book! If you've got more specific questions about the whole process, or questions about the movie, feel free to Tweet them to me @Reekles. 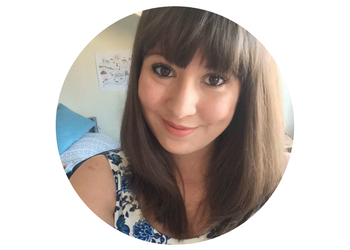 And if you've got something you'd like to see in a Writing Wednesdays post or here on the blog, let me know! Hi! I haven't read the book but i already saw the film and i loved it!